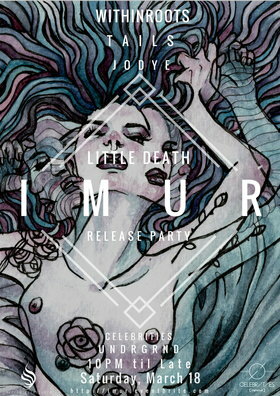 Vancouver's electro-soul act, I M U R, celebrate the release of their debut LP, "Little Death". Join them and special guests, Withinroots (Live), and late night vibes with Aro The Naut, Jodye and Tails (DJ sets) at Celebrities Nightclub Underground on Saturday, March 18th! 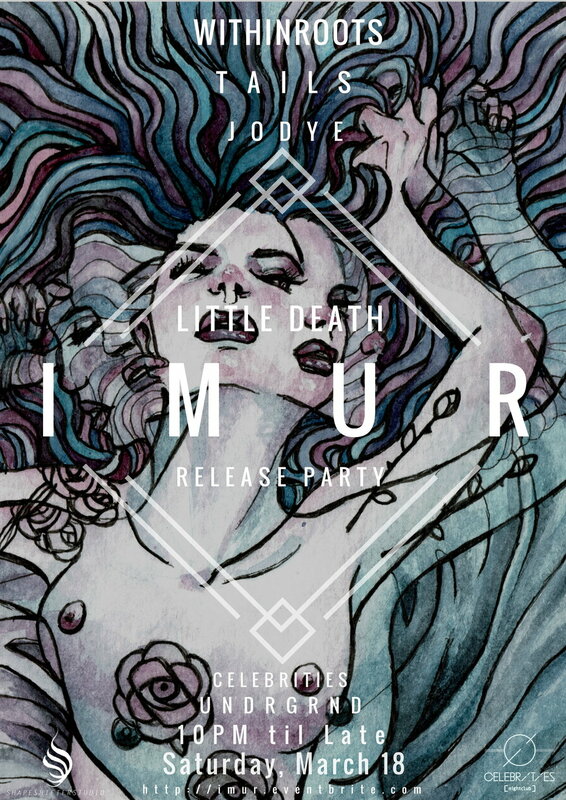 "Little Death" or "La Petite Mort" alludes to the brief loss of conciousness or spiritual release during a post-orgasmic state. In collaboration with space-transformation guru, ShapeShifterStudio, and visual artist extraordinare, Laine Butler, the event will be designed to help you feel this state throughout the evening.